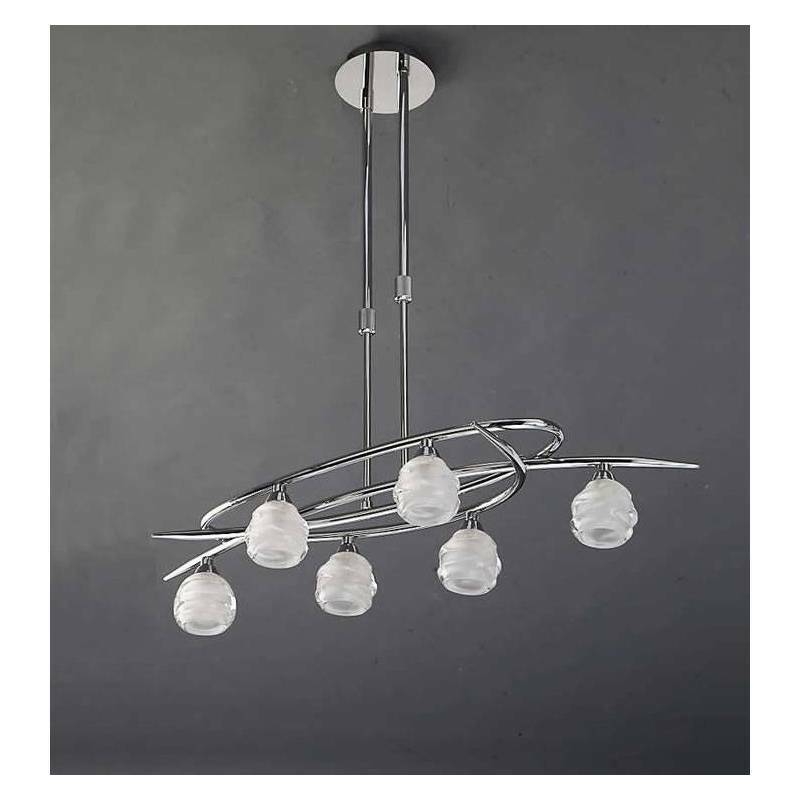 Mantra Loop pendant lamp 6L G9 LED with chrome finished metal and glass shades in satin glass. Mantra Loop pendant lamp 6L G9 LED with chrome finished metal and glass shades in satin glass. Their carved spheres of opal glass, tops the metal frame that is interlaced sinuously, conferring a harmonic movement to the whole. Complete collection, consisting of ceiling lamps, Ceiling lamps, semiplafones, table lamps and wall sconces finished in chrome. 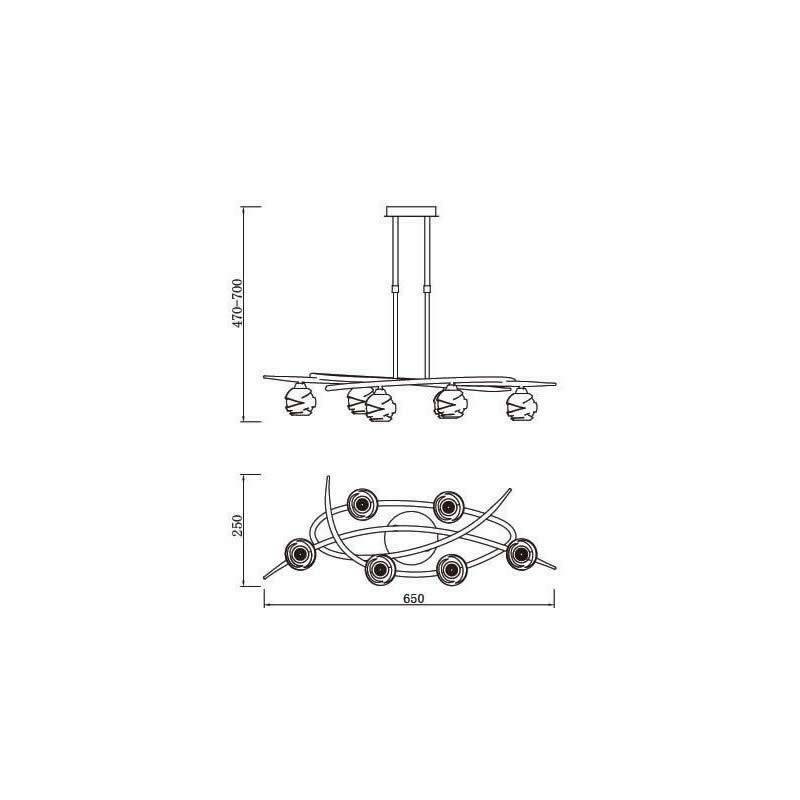 Adjustable lamp height. G9 LED 6x2.5w (bulbs included).